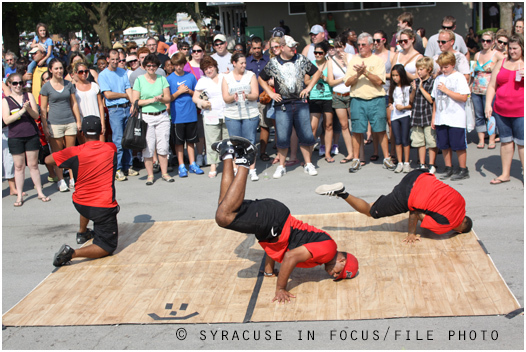 We wonder if there are still B-Boys (pictured here at the New York State Fair in 2011 outside a area now know as the I Love NY Pavilion). When will SU get a Hip Hop Fellow? 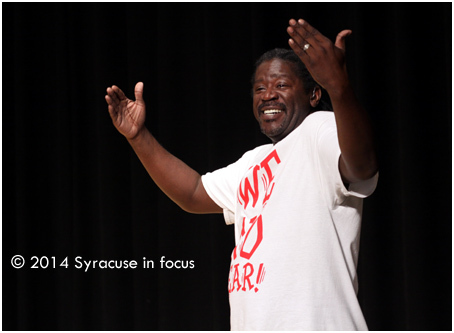 Harry Allen, writer, photographer and hip hop historian completed a two-day residence at Syracuse University and ended it by showing some of his vintage Golden Era pictures at Waston Theater last night. 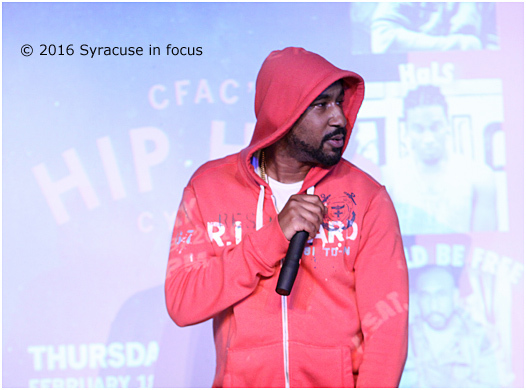 In addition to his conscious lyrics, Brian Freeland, aka World Be Free, also sported a 90’s-centric Hip Hop uniform at the CFAC Cipher. 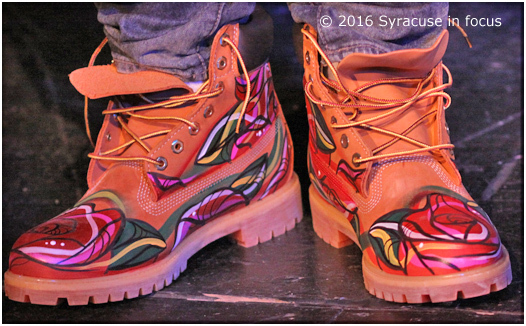 His boots (below) were accented by Delano Brown. 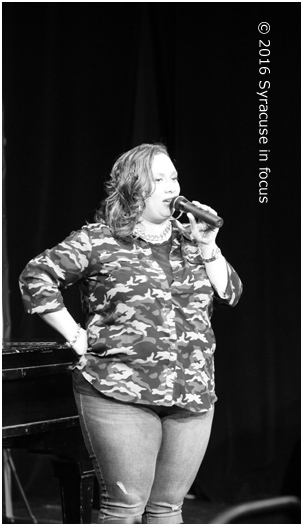 Tamar Smithers talked about the decision to include CFAC’s Hip Hop Cipher to the Journey Through Music of the African Diaspora this month. Thursday’s show was a great example of blending Hip Hop Culture into the local music scene, and specifically the Connective Corridor. 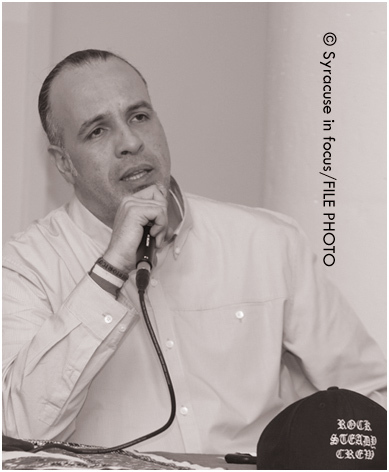 One of the featured B-boys from tonight’s CNN film, “Fresh Dressed,” appeared at Cornell University a few years ago to talk about the impact of Hip Hop Culture. 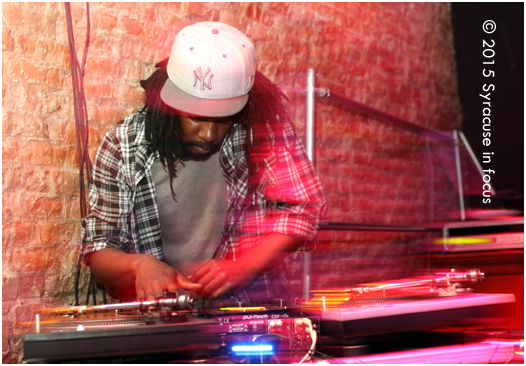 DJ Afar spinning at Funk & Waffles (Downtown). 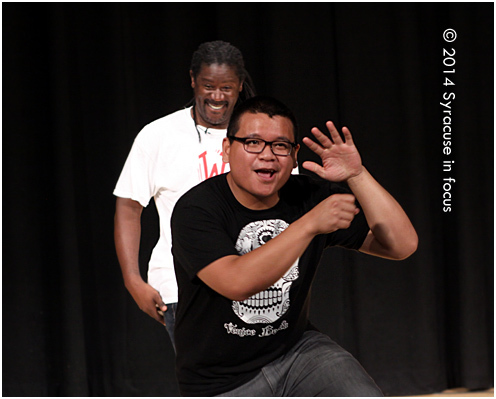 Maestro definitely moves the crowd. It was good to see him on the Connective Corridor on Saturday. We hope he is a top choice when they finally do a an outdoor fashion event at Forman Park, or when the choose another artist to perform/ride the 443 Centro Bus. 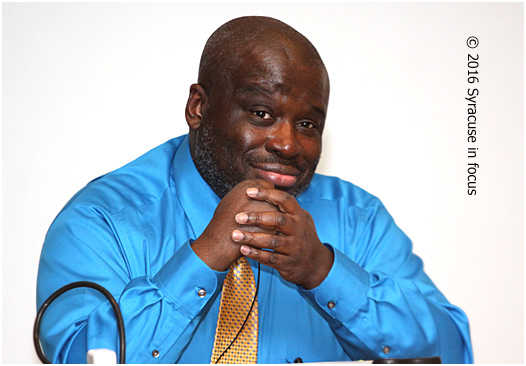 Warren “Wawa” Snipe was born Deaf, but he hasn’t let that stop him from reaching his dreams. The multi-disciplinary rapper, dancer and actor has traveled to over 100 countries, founded a dance company, and is fluent in several languages. 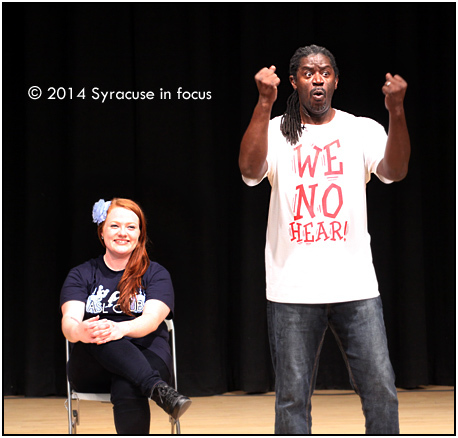 Wawa was joined on stage by OCC ASL club member Chelsea (left) during his performance. The Westcott Theater served up a dose of West Coast positivity with the anticipated arrival of Blackalicious in Syracuse last night. 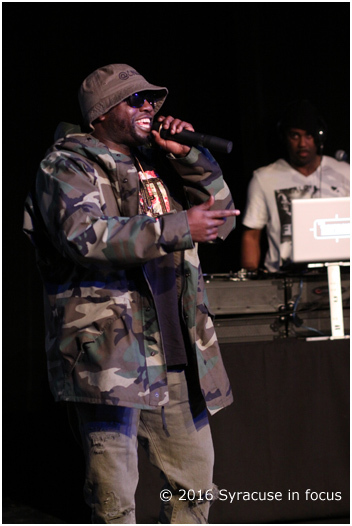 The group was founded in the 1990s by Tim Parker (aka Gift of Gab) and Xavier Moseley (aka DJ Chief Xcel). 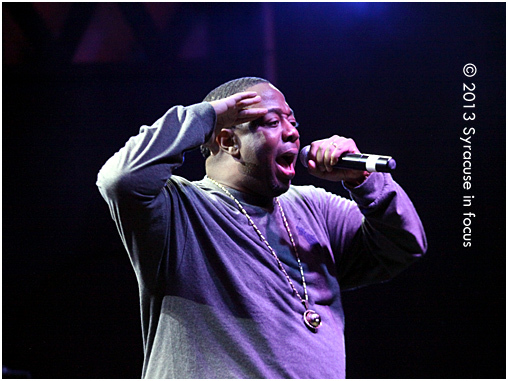 Gift of Gab had a health scare with kidney failure last year, so it was good to see him back on stage. The duo was joined on stage by the Portland team Lifesavas, made up of Vursatyl and Jumbo the Garbage Man (who wore a “Less Drama, More Music” t-shirt). 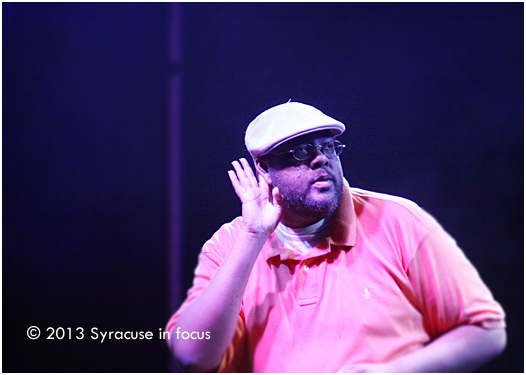 Their hour-long set included the first Blackalicious single “Swan Lake” and some new material, including the song “Blacka,” from their upcoming album (due out in March). In the mean time, check out the East Bay Funk from this song. Openers for the show were Our-Reality and Chaz Ultra.